Boston – Nutter represented Boston Biomedical Associates, LLC, a full service medical device, biotech, and pharmaceutical clinical research organization (CRO), in its acquisition by Factory CRO USA Group, LLC, a global leader of specialization in medical device trials. 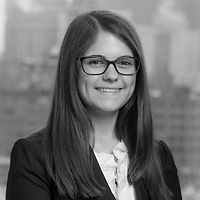 The legal team was led by Michael Kushnir in the Corporate and Transactions Department, and included Portia Keady on corporate matters and Michael Mooney and Erin Whitney on tax matters. Since its founding in 2000, Boston Biomedical Associates has become a leader in providing not only innovative regulatory, quality, and clinical strategies leading to product approval for medical products, but also for providing continuing support through post market surveillance. The company is committed to ensuring that total quality assurance is built into all their regulatory, quality, and clinical services for clients around the globe. Please click for more information about the transaction. Members of Nutter’s Corporate and Transactions Department represent domestic and international corporations, publicly traded and privately held companies, private equity firms, non-profit institutions, and family owned businesses in a wide variety of domestic and cross-border transactions. The firm’s attorneys advise on significant transactions in every major industry sector, including manufacturing, high technology, life sciences, banking, insurance, professional services, real estate, energy, chemicals, medical devices, and health care. 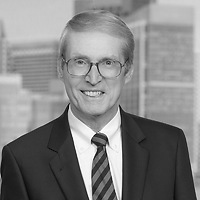 Nutter’s corporate law practice handles the full range of M&A and private equity transactions, including representing buyers and sellers in auctions and bid processes, mergers, asset sales, stock purchases, leveraged buyouts, roll-ups, joint ventures, PIPEs, going private transactions, exchanges of securities, friendly and hostile tender offers, proxy contests, and acquisitions.